My dad and I took these photos on a Sunday afternoon a month or so ago, and I can't believe I forgot to post them! I thought it was prime time for viewing fall foliage, but surprisingly, most everything looked green from up in the air. Maybe that was the collards. 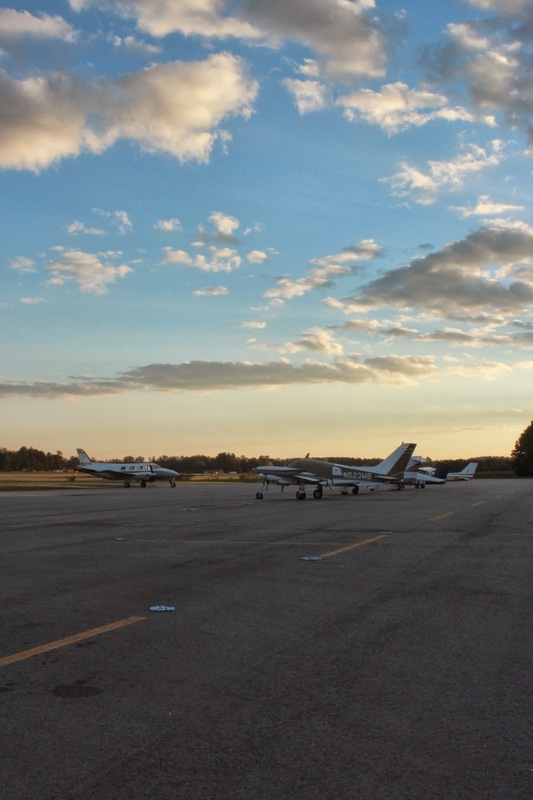 We hopped over to Wayne Executive Jetport in Goldsboro and got fuel. The airport manager is absolutely the nicest man in aviation, and I recommend stopping by if you fly. I hate that these photos are on a delay, but what better time to post them than the 110th anniversary of the first flight?